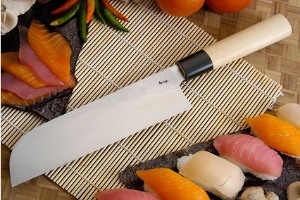 Description: Kamagata Usuba are used for cutting meats and vegetables into extremely thin slices typical of Japanese cuisine. 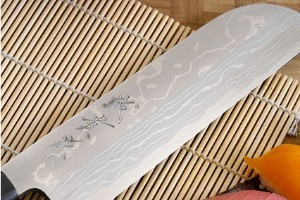 These blades are quite thin and should not be used on hard rind vegetables. 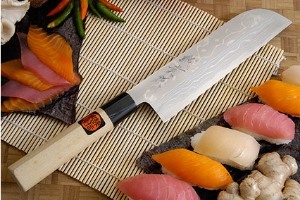 Both the handle and the blade are created specifically for right-handed use. The Kamagata style combines a sharp tip that can be used for detail work with a long, keen edge for slicing. 0.26953125 0.14453125 269.53125 144.53125 Trailer Completed.